The Inter-American Development Bank is yet to respond to an email sent by this newspaper containing pertinent questions regarding the US$23M (G$4.6B) Lot ‘A’ Guyana Power and Light (GPL) Power Utility Upgrade Project (PUUP). This publication had called the Georgetown Office of the IDB over two weeks ago seeking information on the state of the project and the level of monitoring which the Bank was exercising since the institution is funding the project. Kaieteur News was instructed that the “better approach” would be to send an email to the Bank’s email: [email protected] On June 1, 2017 an email was sent to the Bank with three questions regarding the project. The email was sent by Office Support Assistant, Country Department – Guyana, Sheron Ann Roberts. The following week, on June 7, 2017, Kaieteur News telephoned the Bank’s High Street Kingston office once again to ascertain whether a response to the email would be forthcoming. The receptionist recalled the issue and contact information was exchanged, but there has been no further communication. It is unclear at this point why the Bank would take this long to respond to three questions concerning a project in which it has a vested interest. The IDB and European Union are funding the project. Lot ‘A’ is part of a larger US$64M project. Lot ‘A’ was awarded to China National Machinery Import & Export Corporation (CMC) who is partnering with China Sinogy Electric Engineering Co. Limited to complete the project. The contract award was G $1B over the engineer’s estimate. Moreover, Kaieteur News had also sent an email to Minister of Public Infrastructure, David Patterson containing questions on the same matter. That email to Patterson was sent on the same day that the IDB was written to. Patterson was also called on June 7, 2017 to ascertain whether he would have received the email. To this, he said yes. Further, the Minister was asked when this newspaper could expect a response to the questions and Patterson said that he could not say exactly when he would be able to respond to the queries. Patterson’s email contained four questions. The last update this newspaper made on the project was that the smart meters, which form a major component of the project, were not presented to the Guyana National Bureau of Statistics (GNBS) for accuracy testing as is required. This was confirmed by the Public Relations Officer of GNBS, Lloyd David on May 29, 2017. This was two weeks after the May 15, 2017 delivery deadline for the instruments. 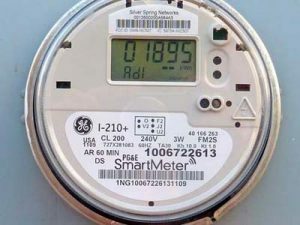 It is unclear whether the meters have arrived in Guyana as yet, or whether an extension has been given to the Chinese company to deliver the meters. Initially, this publication had reported that the contractor was experiencing problems sourcing the meters. However, Chief Executive Officer – Technical, Elwyn Marshall had said that the company should not have a problem supplying the meters since they can be sourced worldwide. After the sample meters would have been approved following the tests, the contractor would then be allowed to proceed with the procurement of the required quantity. Another question which was raised concerning the project was that the contractor was required to deliver meters for testing after the contract was awarded. Based on information received by this newspaper, bidders for the project were not required to present samples during the tendering process; only the winner would be required to so do. However, GPL did say that two brands of meters were provided by CMC during the tendering stage. Chairman of the National Procurement and Tender Administration, Berkley Wickham was asked if samples of smart meters were required during the tendering process, but he failed to address the question. GPL in a statement had said that the meters provided by the contractor must be consistent with the proposed meters declared in the bid document. As such, questions still linger on the procurement process and the execution of the project. Despite this state of affairs, GPL is going ahead with the PUUP. It had advertised for Lot ‘B’ of the US$64M project and has already met with potential bidders for that aspect of the project.